On Wednesday, Apple Box Studios was invited to participate in Sprout Social’s twitter chat: #SproutChat. It was our first experience with a twitter chat and we left with extremely positive results. We connected with new people that we wouldn’t have had the pleasure to connect with otherwise, shared some insights, learned some new skills and had a pretty great time. The topic of the chat was “starting your own social media agency”. It consisted of 6 questions and lasted one hour. People from all over the country and the world participated and shared their insights about this topic. It was a little unnerving at first. I mean, we tweet all the time, but mostly with the expectation that it will disappear into people’s timelines. Now, we not only had to produce meaningful content, but produce meaningful content under a fast-paced microscope … for an entire 60 minutes. What if we said something wrong or … really stupid? Or what if we couldn’t think of anything to say at all? A couple of minutes into the first question and we quickly found our stride. Before we knew it, people were responding to our tweets, “liking” them and retweeting them! It was an extremely rewarding experience because we were not only creating insight, but receiving it, as well. Additionally, it was a great exercise in social media engagement (a crucial step in anyone’s content marketing campaign). Sometimes it’s hard to come up with things to say on the spot. It doesn’t hurt to do a little bit of research on the topic to start your flow of awesome insights. Twitter has its own app for Twitter Chats that can be used on desktop & mobile. All you need to do is search the hashtag and then you can see only the tweets pertaining to your chat. 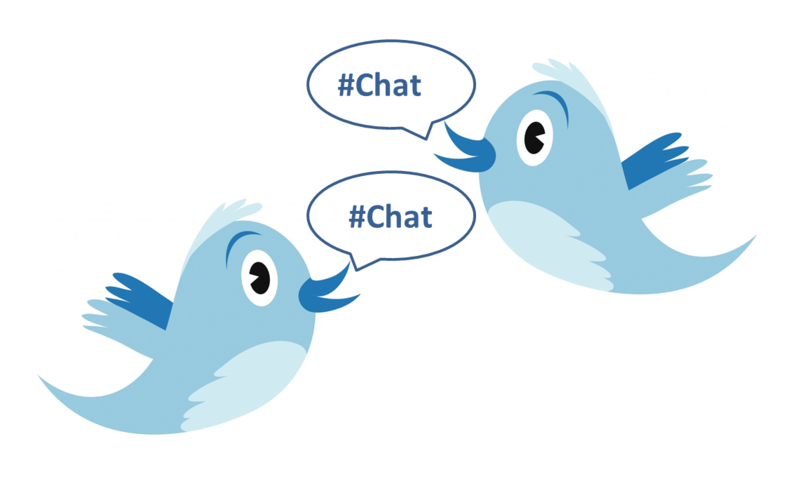 If you’re participating in a Twitter Chat, be ready to “chat”. We were nervous at first, but, once we dove in it was easy to talk and share ideas. The host will be firing off the questions (which you should definitely make a point to answer), but the other participants will have great insight that you can build off of too. Yes, Twitter Chats are fun and a great way to connect, but there should be a strategic objective behind your decision to participate. Keep a list of the people you interact with and keep track of how many followers you gain after the chat is over.